Choose the Spanish language courses that suit your ability and aspirations. 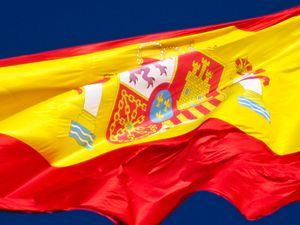 Whether you want to learn Spanish for business purposes, because you’re buying a holiday home in Spain, or just want to improve your language skills, we have Spanish language courses to suit your requirements. Get in touch with me today to find out about my unique 1 to 1 Spanish Language tuition. We’ll make an appointment to connect via Skype and you can enjoy the benefits of my Spanish language courses in the comfort of your own home. The 1 to 1 tuition is backed up by on-line videos and course materials. I have more than 10 years’ experience of teaching Spanish to people of all ages and abilities, so my courses are interesting and varied. We base our Spanish language courses on the everyday life activities and conversations of the real world depending on your level of knowledge of Spanish. The teaching approach immerses students into Spanish so they are actively involved in learning and communicating in Spanish. Why Take a Spanish Language Course? Spanish is growing in popularity worldwide because of its ever-increasing global importance. But there are other languages out there, so why choose Spanish? It unlocks a world of options – With an estimated 470 million native Spanish speakers worldwide, learning the language opens up a huge array of travel options. Enjoy classic books, films, and TV – One book that is often voted in the top ten of ‘greatest ever books’ is “El ingenioso hidalgo Don Quixote de la Mancha” by Miguel de Cervantes. Learning Spanish means you can enjoy this and so much more Spanish literature and television. Expand your opportunities – With Spanish as your second language you open up a vast array of new job opportunities both abroad and locally. Speaking Spanish is highly sought after in business circles, meaning that you won’t be stuck for job opportunities. It isn’t difficult – Because written Spanish is almost completely phonetic, it makes it much easier to learn. Many English speakers are quick to learn the basic grammar too!